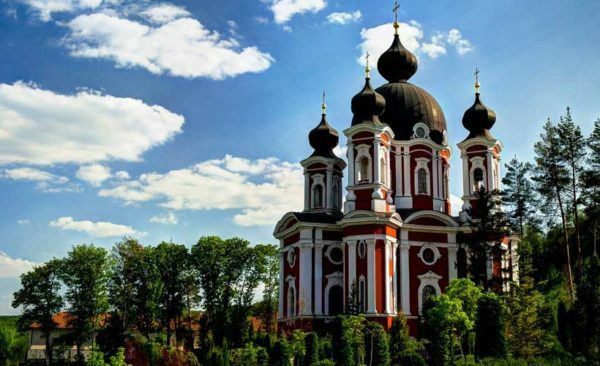 With scenery to rival Switzerland, a growing reputation for cheese and wine and a surprising number of UNESCO World Heritage sites, it’s little wonder adventurous travellers are increasingly turning to Eastern Europe. Dine in centuries-old restaurants, wander along cobblestone streets and explore medieval castles – including the one said to have inspired the gothic horror novel Dracula in Transylvania – on our Bulgaria Romania Moldova tours without the crowds, or high cost, of Western Europe. The region’s food and wine. Even the French are taking notice! 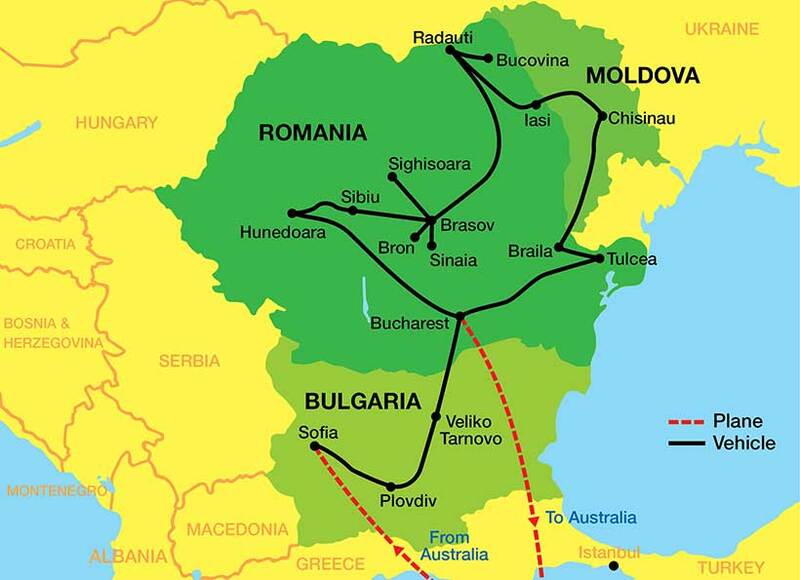 If the idea of travelling to a destination your friends are unlikely to have been appeals, our private tours to Bulgaria, Romania and Moldova could be for you. 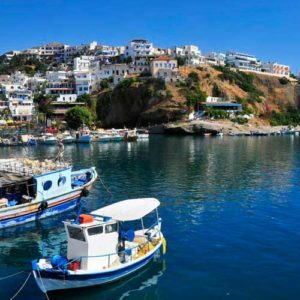 These scenic countries, largely unexplored by Australians, are Europe’s hidden gems. But they won’t stay that way forever. Our unique tours begin in Bulgaria’s innovative capital Sofia, at the base of Vitosha Mountain, with dinner at a traditional restaurant where guests can see fire dancers perform and try rakia (fruit brandy) and local wine. 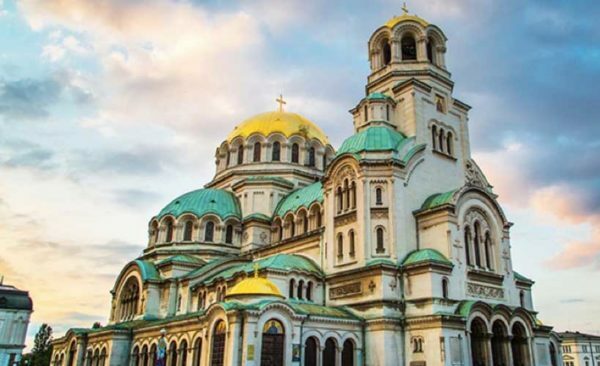 Learn about Sofia’s tumultuous history, including wars, seizures and earthquakes, on a city tour before visiting the country’s largest monastery, the UNESCO World-Heritage listed-Rila Monastery, which was named after its hermit founder in the 10th century, en route to one of Europe’s oldest cities, Plovdiv. Here, guests will visit one of the world’s best preserved ancient Roman theatres, built 2000 years ago. Another archaeological wonder awaits at Kazanluk in the form of the UNESCO World Heritage-listed Thracian Tomb, which dates back to the 4th century BC and is decorated with murals of kings, queens and chariot races. 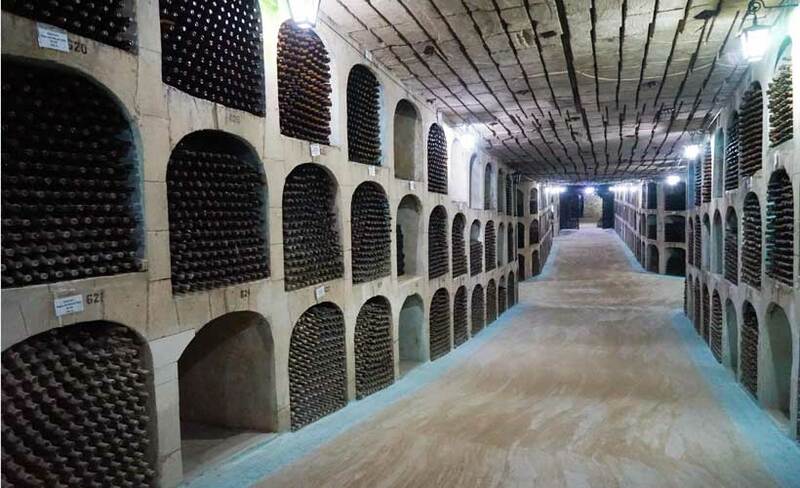 But not before a visit to Starosel winery and a cheese factory for tastings. After touring Bulgaria’s ancient capital Veliko Tarnovo and Abranasi Village, our tours head to Romania’s capital and largest city Bucharest and onto Tulcea, the gateway to the Danube Delta. 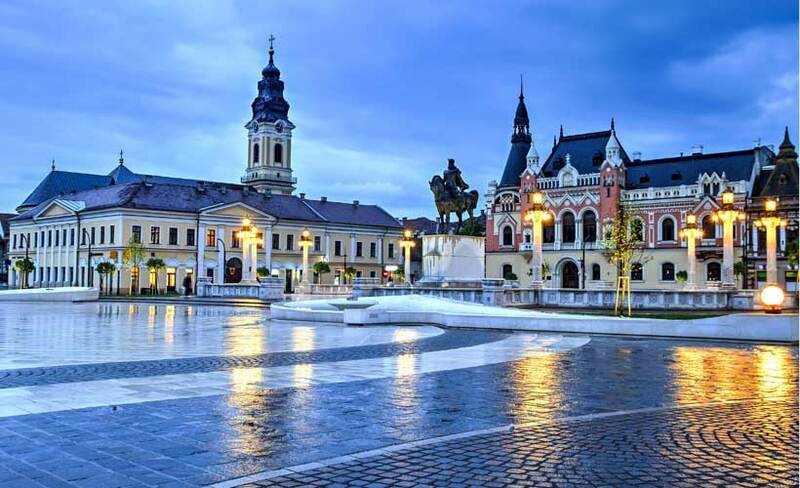 Here, guests will hop on a boat and enjoy a feast of traditional fish dishes at a local restaurant before visiting the pretty town of Braila, on the Danube River. 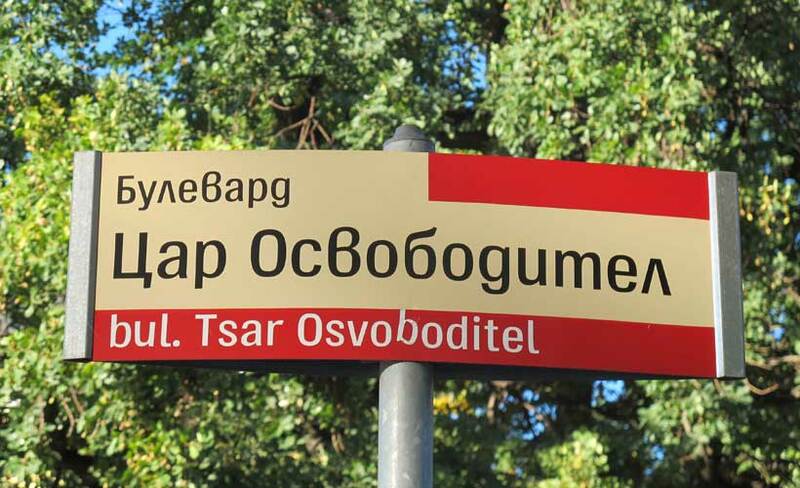 Guests will then spend a few days in Moldova. 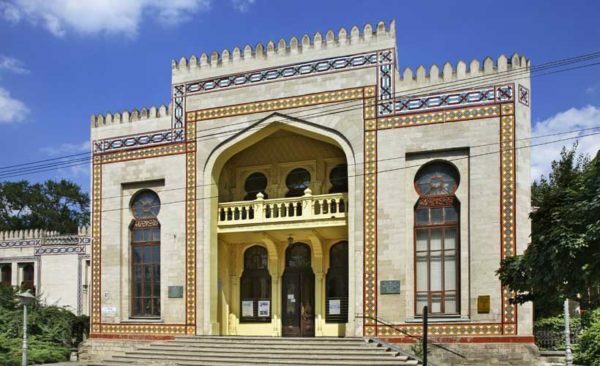 This small, land-locked country has a fascinating history. Once part of the Byzantine Empire, it has been ruled by the Slavs, Magyars and the Turks before becoming independent after the collapse of the Soviet Union in 1991. Our guests will enjoy a traditional lunch at Butuceni Village, wine tasting at Chateau Vartely and visit other top wine cellars around the capital, Chisinau, including one of Europe’s biggest wine producers, Cricova. After that it’s back to Romania. First stop is the country’s second-largest city, Iasi, which is considered it cultural capital, before heading north to Radauti, in the Bucovina region. 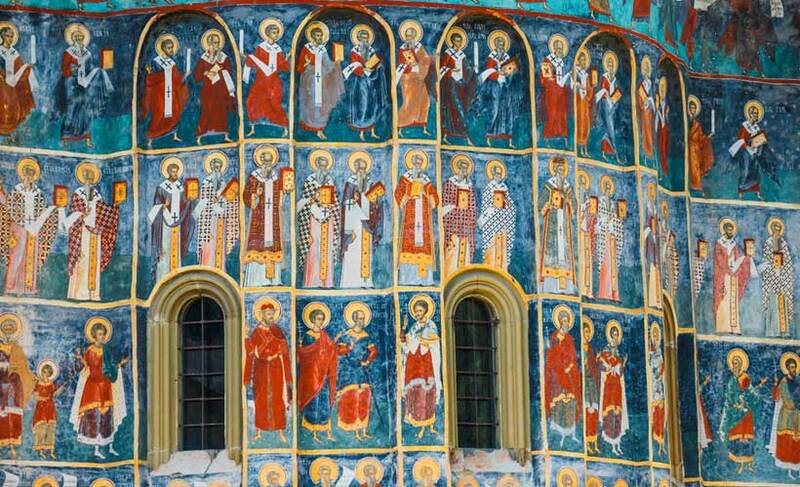 Here, visit the UNESCO World Heritage-listed Painted Monasteries. Considered masterpieces of Byzantine art, their exterior walls are painted with elaborate 15th and 16th century frescoes featuring saints and prophets, scenes from the life of Jesus, images of angels and demons, and heaven and hell. 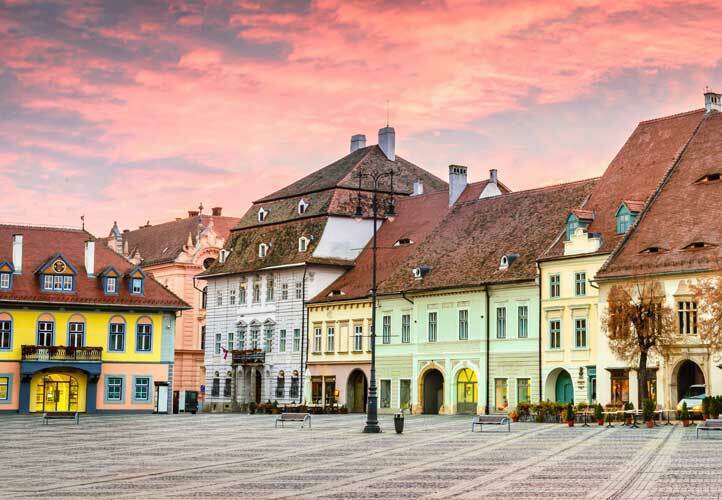 Enjoy the scenery of the Carpathian Mountains and through the imposing Bicaz Gorges en route to Transylvania, which is becoming as well-known for its wine as its medieval castles and churches. Here, guests will visit one of Europe’s most beautiful castles, Peles Castle near Sinaia, and tour the famous Bran castle with Vlad Dracula as guide. 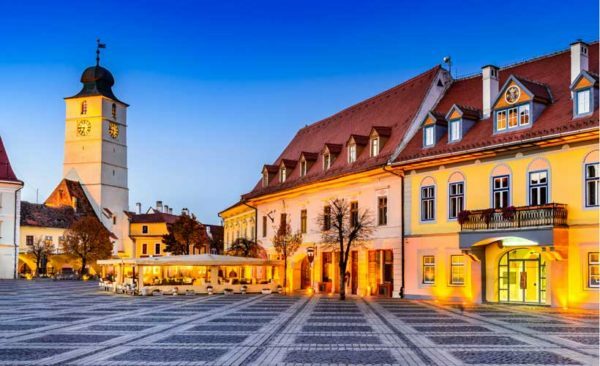 Other highlights of this unique travel destination include the UNESCO World Heritage-listed medieval town Sighisoara, the riverside city of Sibiu, which is known for its cheeses made by local shepherds, and Romania’s biggest medieval castle, Hunyad.